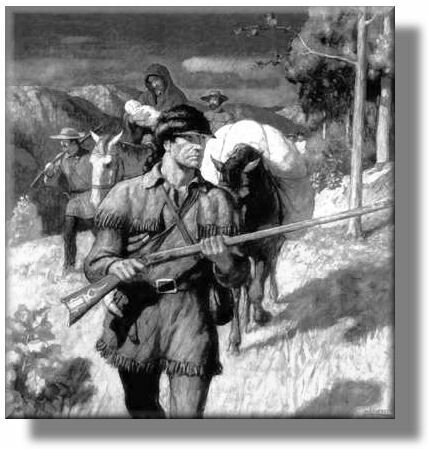 May 11th, 1792 - Captain Robert Gray sailed across Columbia bar on a trading expedition for fur, salmon, deer and elk meat. Bartering was at the rate of one nail for two salmon, two spikes for one beaver hide, and a small piece of copper for a sea otter hide. 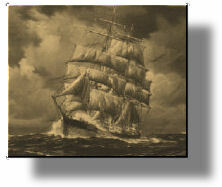 He named the river after his ship, the Columbia Rediviva. Prior to that time it was known as the Oregon, an Indian name meaning "River of the West." 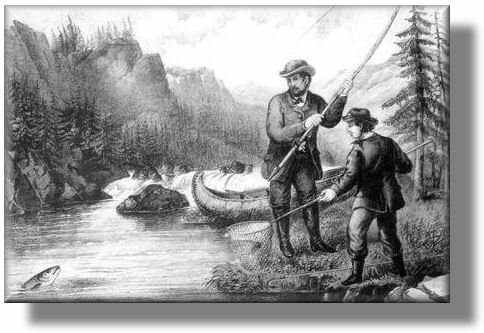 1805-06 Journals of the Lewis and Clark Expedition reveal that salmon and steelhead in Snake and Upper Columbia Rivers were more impressive than any other wildlife. They grew so tired of eating salmon that they purchased dogs from the Nez Perce Indians to vary their diet. Not much mention of deer and elk until they reached Astoria where they lived for five months on elk meat. 1821 - Hudson Bay Company established headquarters at Vancouver under leadership of John McLaughlin. Responsible for early exploration in search of fur. Established first conservation policy based on limiting fur catch to natural increase. 1843 - Settlers meet to deal with the menace of wild animals. These "Wolf Meetings" lead to the Drafting of a constitution and the formation of Oregon's first government. 1848 - Oregon became a territory. Section 12 of the Territorial Constitution declared that rivers and streams supporting salmon shall not be dammed or otherwise obstructed unless fish passage is provided. 1855 – Treaty is signed by United States and Columbia River Tribes reserving right for tribes to hunt and fish “in usual and accustomed places” in common with U.S. citizens. 1859 – Congress admits Oregon as the 33rd state on February 14. 1866 - First cannery built by Hume Brothers on Columbia at Eagle Cliff, Washington. Packed 4,000 cases the first year at a value of $64,000. 1872 - First game laws close deer hunting from Feb. 1 - June 1. Prohibited taking deer or elk for hides and horns. Closed season on certain waterfowl from April to July. Protected upland game birds during spring months. Prohibited use of explosives or poisons in taking fish. Fish ways required over dams. Legislature adjourned without appropriating money or assigning anyone responsibility to enforce the laws. 1877- First fish hatchery built by U.S. 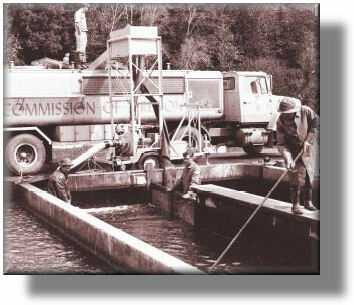 Fish Commission on Clackamas River and operated by Livingston Stone. 1878 - First state Fish Commission. It was not legally recognized until 1887. 1882 - First successful introduction of Chinese pheasants in North America near Peterson Butte in Linn County. 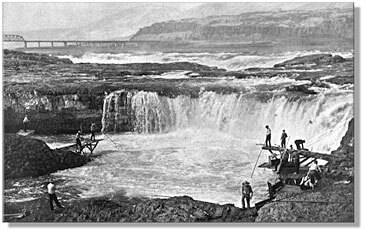 1885 – Construction begins on first Willamette Falls fishway, made of roughhewn rock. 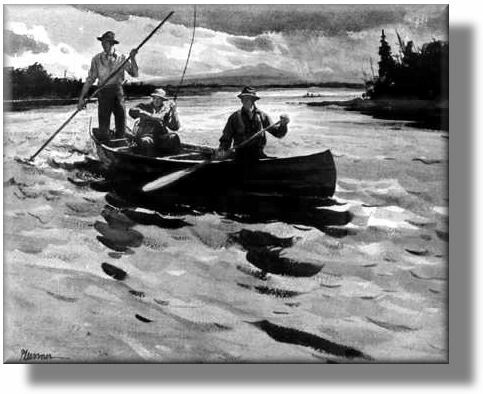 1887 - Three men State Board of Fish Commissioners set up by Legislature with $1,000 budget to enforce fish and game laws and operate hatchery for two years. The board leased a hatchery at the mouth of Clear Creek on the Clackamas River in April for one dollar from the Oregon and Washington Fish Propagation Company. The first season resulted in 15 million eggs being taken and 1.3 million fry being released. Lacking funds for the second season, the board turned the operation over to the U.S. Fish Commission. 1891 –30,000 Chinese pheasants are harvested in Linn County. 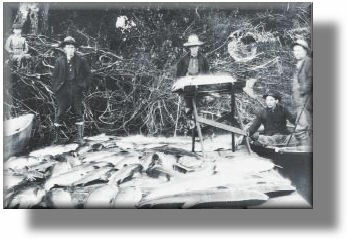 1892 – Sturgeon fishery peaks with about 35,000 fish landed. 1893 - First combined fish and game administration in the state's history when the Legislature appointed Hollister McGuire as the State Game and Fish Protector. McGuire initiated the first fish marking program in 1895 by clipping the adipose fin on 5,000 Clackamas Hatchery salmon (32 returned). He also enforced several new game laws, including a limit of 20 game birds which could be sold during the season. 1898 - McGuire released the first ever fin-clipped salmon in Oregon. In his report to the Governor, he cites concerns about the lack of protection for salmon, particularly on the upper Columbia and Snake, and recommended several actions to be taken by the Legislature. Licensed industry to support hatcheries. Prohibited fishing on spawning tributaries to Columbia. Authorized Fish Commissioner to remove fish passage barriers. Divided the state into six fishing districts with all fines and license fees to be spent on hatchery programs in district where collected. Provided for enforcement through gear registration. Required screening of irrigation ditches. Prohibited planting of fish not indigenous to state. Delegated Commissioner authority to close streams stocked with fish. Established reporting system for canneries, dealers, and others. Authorized the Commissioner to appoint a deputy in each county to enforce fish laws and to be paid from one half of all fines collected. Authorized the Board of Fish Commissioners to purchase and build fish hatcheries and audit all claims in connection with fisheries department. Another law passed at the special session prohibited elk hunting until 1910, a closure that was later extended. McGuire drowned on the Umpqua River while in search of a hatchery site this same year. 1899 - Legislature created Game Board with position of Game and Forestry Warden; L.B.W. Quimby appointed. A budget of $2,200 was approved for the biennium with $1,500 alloted for Quimby's salary, $500 for deputy wardens. New laws included a closed season on beaver, a 5-deer bag limit, and a duck season from September 1 to January 1 with no limit. Quimby wanted to spend $500 of his budget for printing copies of the fish and game laws but was refused permission so he printed 5,000 copies at his own expense. He was also concerned about increased pressure and commented that there were 20 fishermen in Oregon where there was one 10 years ago. The sturgeon fishery collapses due to over-harvesting. The minimum commercial sturgeon size is set at 48 inches. A commercial fishing license was required for the first time. 1901 - First bag limit for trout of 125 per day and first duck limit with 50 allowed per day. A $10 license was required of non-residents for the first time. 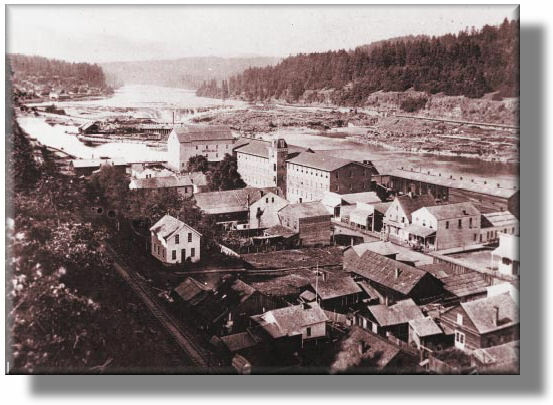 1903 - First record of concern over water quality when Deputy Warden Webster filed a complaint against Rainier Mill and Lumber Company for allowing sawdust to enter the Columbia River. The fine was $50 and court costs. The budget approved by the Legislature included General Fund appropriations of $15,000 for Columbia River hatcheries, $5,000 for coastal hatcheries, and $5,000 for constructing a fishway over Willamette Falls. Water bailiffs were appointed for fishery law enforcement purposes. 1905 - State Game Fund established. Resident $1 hunting license required. Selling of game prohibited. 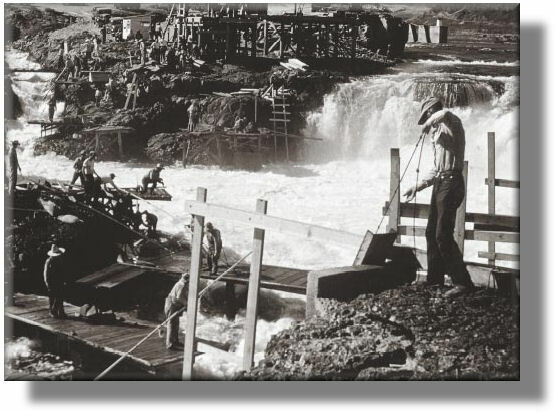 1907 -First fishway completed over Willamette Falls at a cost of $2,600. After completion, gradient of upper portion proved too steep for fish to pass. Lower Klamath and Malheur Lake refuges established by Presidential Proclamation. 1909 - Central Hatchery (Bonneville) completed, including hatchery house, several nursery ponds, one rearing pond, and superintendent's residence. Resident angler license fee of $1 imposed. Arrangements made to transport fish and fish eggs on all steam railways free of charge if accompanied by messenger with first class ticket. Legislature appropriated $1,000 for sea lion control on Columbia. 288 seals and 670 sea lions killed the first year. Law passed requiring ditches and mill race intakes to be screened. 1911 -State leased Gene Simpson's bird farm at Corvallis and employed Simpson to run the operation. Legislature established wildlife refuges totaling 1.5 million acres. 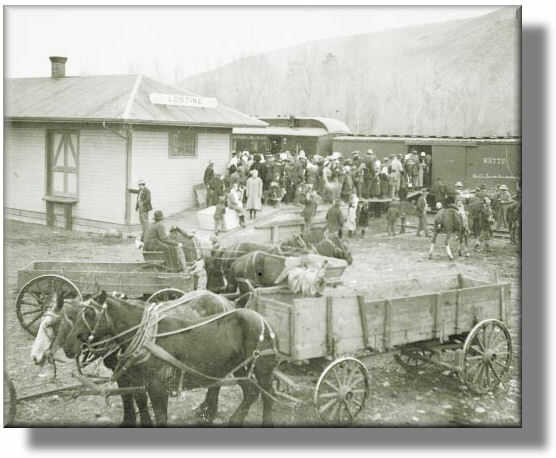 1912 -Elk from Wyoming shipped by train and released at Billy Meadows in Wallowa County. 1913 – Daily deer bag limit reduced from five to three. First trout stocked in Cascade Lakes are packed in by horse. Legislature passed laws to protect otter, mink, fisher, marten and muskrat and authorized open trapping seasons from Nov. 1 to Feb. 28. The law prohibited the use of game birds or animals for bait, prescribed a penalty for disturbing traps belonging to others, and required trappers to report their annual harvest. 1917 -The Fish and Game Commission's biennial report talks about World War I and its impact, including revenue decline of $30,000 and a reduction in enforcement from 30 to 17 wardens. William L. Finley, state biologist at the time, reported giving 200 lectures to schools granges and other groups during the biennium. Eastern cities were toured to drum up interest in Oregon's outdoors. Since antelope in Lake County were scarce, Finley proposed creating a refuge from public lands in the area. 68.7 million salmon and 15.6 million game fish were released despite curtailment due to the war. Problems were still evident at Willamette Falls and plans were being made to improve the fishway with funds appropriated by the Legislature. Columbia River fish run continues decline from the late 1800's until 1913. On the advice of cannery workers, Fish Department decides in 1910 to stop planting yolk sac fry(30-50M planted annually with no results) and release fingerlings instead. In 1914 salmon pack jumped to 454,000 cases compared with 266,000 in 1913. 1919 – Beaver trapping season reopens after nearly 20-year closure. 1920 - In a report, Hatchery Superintendent Clanton credited the increased Columbia River salmon run to Oregon hatchery methods. Cannery men in Puget Sound and British Columbia asked for the services of Oregon hatchery department to install a similar program on the headwaters of the Fraser River. Fish food was a problem but a three-year supply was reported on hand, including 25,000 cases of condemned salmon, 46,400 lbs. of rejected mild cured salmon, 112,000 lbs. of salmon eggs, 15,000 lbs. of spent salmon. 1925 - The annual report of the Game Commission expressed concern about water shortages, increased pressure due to the automobile, and the demands for more fish, more game, more patrol, and more protection. 1927 – First regulated hunting season for black bear in southwest Oregon. Commercial fishing prohibited on the Willamette River. Fish wheels outlawed. 1931 - Fish and Game law enforcement transferred to Oregon State Police. Closed season on beaver. The depression was in full swing and employee pay was both low and irregular. Although rates varied, $80 to $90 per month was the going rate for a hatchery man who worked six days a week with no overtime pay. Checks arrived at irregular intervals, dependent on availability of funds, and could be three to five months late. 1932 - Oregon Legislature authorizes the Game Commission to set trapping regulations. 1933 - Elk season reopened for the first time since closure in early 1900s. 1936 – Oregon’s last known grizzly bear killed at Billy Meadows (Wallowa County). 1937 - Federal government passes Pittman-Robertson Act, which provides for an excise tax on sporting arms and ammunition to be funneled to state fish and wildlife programs. Act has since raised millions of dollars to benefit wildlife in Oregon. 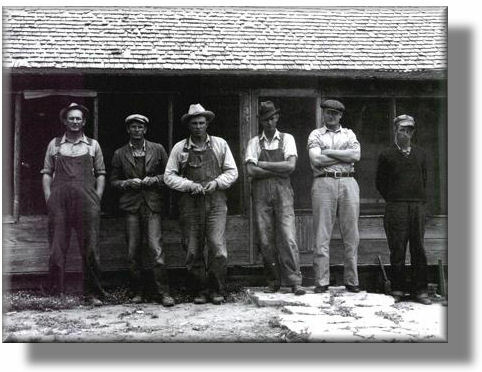 1938 - First class of fish and wildlife students graduated from Oregon State University. Fish Commission established Department of Research. 1941 - Legislature delegated authority to the Game Commission to set sessions and bag limits and to install screens in ditches under 8 feet wide. Stream and lake survey program underway with biologists in charge. 232,000 hunting and angling licenses sold with receipts totaling $719,000. 5,622 commercial licenses of all types sold, including 1,167 gillnet and 61 troll; receipts from all sources totaled $162,000. War clouds were gathering and some employees were leaving for the service. Production of food fish considered an "essential activity," delaying the departure of some Fish Commission personnel. 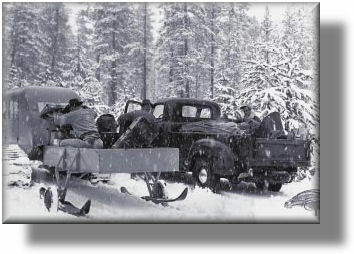 1942 - South Twin Lake chemically treated, marking first lake rehabilitation project. 1943 – Black bear protections eliminated. 1944 - Summer Lake becomes first state wildlife area. It is purchased with Pittman-Robertson funds. 1945 - Rocky Mountain bighorn sheep are no longer found in Oregon. 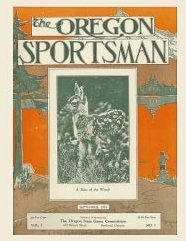 1946 - Game Commission Bulletin (now Oregon Wildlife) began publication. Game Commission moved from Oregon Building to new headquarters at SW 17th and Alder in Portland. The last wolf bounty is paid on a wolf from the Umpqua National Forest in southwest Oregon. 1950 - Mountain goats planted in Wallowa Mountains. Dingell-Johnson Act passed, providing for excise taxes on fishing tackle to finance sport fishery programs, which have since contributed millions of dollars to Oregon. Environmental concerns prompted establishment of Basins Investigation Section in Game Commission. Organization decentralized with creation of five regions. 1951 - Phil Schneider became State Game Director. Fishing and hunting license sales totaled $400,000. Game Commission operated on $5,000,000 biennial budget. Under Schneider, Department becomes first fish and wildlife agency in nation to use district biologists and regional management. Style of organization soon replicated nationwide. Fish research expanded to include studies on the Columbia River, troll salmon, coastal rivers, hatchery management, marine fisheries, and shellfish. 357,000 chinook passed Bonneville Dam. Commercial fishing licenses totaled $7,026, only 91 being issued for trolling. The biennial budget totaled $2,000,000. 1954 - California bighorn sheep reintroduced to Hart Mountain. 1956 - Troll license sales nearly doubled from 486 in 1955 to 866 in 1956. 1961 - Successful introduction of the Merriam's turkey. 670,000 hunting and angling licenses sold. Game Commission operated on a $7.5 million biennial budget. Commercial licenses of all types totaled 8,368. Fish Commission operated on a $5 million biennial budget. Legislature delegated responsibility for non-food intertidal forms of aquatic life to Fish Commission. 1969 - Marine laboratory constructed at Newport. Egg taking crew loads snow cat for trip into Diamond Lake egg station. Deep snow during some years necessitated this form of travel. 1971 - Rocky mountain bighorn sheep reintroduced in eastern Oregon. The Fish Commission's biennial budget totaled $8 million and commercial licenses of all types numbered 11,338. The Legislature delegated responsibility for 235 non game species of wildlife to the Game Commission. Basins Investigation Section renamed Environmental Management. 1973 - Game Code re-codified by Legislature. Growing concern over foreign fishing off Oregon coast and Indian treaty issues on Columbia River. U.S. Endangered Species Act passes. Hunter education becomes mandatory for hunters age 17 and under. Firearm incidents decline as this generation begins hunting. 1975 - Merger of Fish and Wildlife (formerly Game) Commissions effective July 1. Seven-person Commission appointed for staggered four-year terms. Qualifications for Commission membership excluded anyone holding office in sport or commercial fishing organization or having interest in a commercial fish processing company. At the time of merger, the Department of Fish and Wildlife employed approximately 750 people, operated 31 hatcheries and four rearing ponds, raised 3.6 million fish yearly, operated one game farm with an annual capacity of 20,000 pheasants, owned and managed 22 wildlife areas with 140,000 total acres combined, controlled 82 fish management areas totaling 6,000 acres, accommodated 766,000 anglers and 390,000 hunters who enjoyed 10 million days of recreation annually and spent $190,000,000, issued 5,570 licenses to commercial fishermen who harvested $102,000,000 worth of fish and shellfish products annually, and operated on a biennial budget of $40,000,000 of which 50 percent was provided from user fees, 33 percent by the federal government, and 17 percent from the State General Fund. 1976 - Congress passed the Fishery Conservation and Management Act which claimed responsibility for fishery management from three to 200 miles off the coast. The Department of Fish and Wildlife is represented on both the Pacific and North Pacific Regional Councils, providing a voice in and responsibility for managing fisheries over a million square miles of ocean. 1977 - A five-year fishery management plan for the Columbia River was signed, following months of negotiations between the State of Oregon, Washington, and the four treaty Indian nations. The Five Year Plan, as it soon became known, provided a real break- through for both user groups and fisheries managers and was the first step in joint management of the river’s fisheries. The bobcat received legal protection as a furbearer by legislative action. The Legislature also elevated certain game and commercial fish violations to Class C felonies, giving the courts authority for tougher punishment options for repeat and major law violators. 1979 - A new fish hatchery on the Clackamas-River brought the number of state operated hatcheries to 32. A totally reconstructed McKenzie Hatchery and an expanded Bonneville Hatchery become operational. Oregon borrowed a good idea from Colorado and became the second state in the union to allow its taxpayers to donate a part of their income tax refunds to help non-game wildlife. The Wildlife Check-off earned $337,000 for non game animals and habitat in its first year. 1980 - Limited entry began for Oregon's commercial offshore fisheries. For the first time, salmon trollers, groundfish and shrimp trawlers had to procure permits to land their catches in Oregon and had to maintain evidence of fishing activity each year to keep these permits active. Congress passed the Northwest Power Planning Act. For the first time ever, management of fish and wildlife resources became an equal partner with power generation, irrigation and flood control in the Columbia Basin. The act set up the Northwest Power Planning Council for administration, which provided funding for fish and wildlife mitigation. STEP, Oregon's Salmon-Trout Enhancement Program, begins. 1981 - "Herman the Sturgeon" officially opened the 1982 Oregon State Fair. The 8 foot fish had been with the Department for 50 years, making it to nearly every state fair during that time. 1982 - El Nino and other climate changes created severe conflicts with salmon and other ocean fish populations. The results were economic impacts on the commercial and sport fisheries and coastal communities dependent on tourism. The Department received six mountain goats from Idaho and released them into the Elkhorn Mountains of Baker County with hopes of establishing a population of the goats in Northeast Oregon. Later, this population will serve as the source for other goat restoration efforts in Oregon. The Oregon Wildlife Heritage Foundation organized a fund-raising drive, providing the needed support for acquisition of the lower 13 miles of the Deschutes River banks for public access. The land became the Lower Deschutes Wildlife Area. Lookingglass Fish Hatchery, located 18 miles from Elgin on Lookingglass Creek, a tributary of the Grande Ronde River, was completed and dedicated. The Landowner Preference Program begins as more big game hunting shifts from general to controlled seasons. The program provides landowners with tags for species that occur on their property and provides a form of non-monetary compensation for habitat they provide. 1983 -The first annual Oregon "Plague of Plastics" beach cleanup was sponsored by Oregon Fish and Wildlife. During four hours on a Saturday morning, volunteers collected and bagged 23.6 tons of solid waste from Oregon's public beaches. The first Oregon Migratory Waterfowl stamp was issued by the department. 1984 - The U.S.-Canada Treaty for management of Pacific salmon was ratified by both countries. Under the treaty, each country gained general management control of stocks originating in its own rivers. Treaty goals include prevention of over fishing, increased production of salmon, and ensuring that each country receives the benefit of its own production. 1985 - An angling license was required for all species, not just game fish. The salmon-steelhead tag changed from a yearly 20-fish limit to a separate fee for each unit of ten fish. A new separate tag was created for sturgeon. Peregrine falcons were reintroduced into the Columbia Gorge, where they had not nested for 30 years. Wildlife Check-off money helped fund the cooperative project between ODFW and the U.S. Forest Service. A portion of the state's share of income from the first Oregon Migratory Waterfowl Stamp was given to Ducks Unlimited to build 400 nesting islands on the Copper River Delta in Alaska for dusky Canada geese. Oregon Trout issued its first edition trout stamp to generate funding for wild fish projects in the state. First U.S.-Canada treaty for managing Pacific salmon was ratified. 1986 - The first "Governor's sheep tag" was sold at auction during the annual convention of the Oregon Hunters Association. The tag went for $56,000. An additional $13,000 for Oregon's sheep program was raised during the convention. A blood virus epidemic infected bighorn in the area of the Lostine River. More than 100 animals died including one large ram, known as Spot. Later measurement of his horns set a North American record with the Boone and Crocket Club. 1987 - Extreme forest fire danger in western Oregon caused the state forester to close ten million acres of public and private lands to recreational access for two weeks in October. Fish and Wildlife Commissioners extended the black-tailed deer season by three days in response to the closure. State Legislature passes Oregon Endangered Species Act. 1988 - The Legislature passed the Fish Restoration and Enhancement Act, which placed a $2 surcharge on sport fishing licenses and increased the commercial salmon permit and poundage fees to fund the program. 1989 - The department sponsored its first statewide Free Fishing day on June 9 as part of National Fishing Week. The U.S. Forest Service also participated, offering free camping in some forest campgrounds. It was a good year for peregrine falcons in Oregon. Biologists found five wild nest sites (compared to just one in 1985), bringing the statewide nest total to 16. The department also "hacked" 26 young birds in five additional sites and placed two foster chicks in a southwest Oregon nest. The Central Region hired the department's first female district (field) biologist. 1990 - November 1990 voter approval of a tax limitation measure forced heavy general fund budget cuts. The Fish and Wildlife Commission approved wildlife division proposals to go to full limited entry for mule deer hunting and first period Rocky Mountain elk bull seasons. The Mule Deer Management Plan was approved by the commission and the process started on an elk plan. On the fish side, the Coastal Chinook Management Plan was headed for commission review while a public process to update the Coho Plan was started. 1993 – Oregon State Legislature approves the Access and Habitat program, which uses a hunting license surcharge to open private lands to public hunters or improve wildlife habitat on private lands. Rules to regulate the import, breeding, holding and sale of privately-held cervids (deer and elk) are adopted in order to protect native wildlife. 1994 – First statewide cougar and black bear management plans adopted. Voters pass an initiative banning the use of dogs or bait to hunt cougars and bears. The A&H program hosts its first auction of special big game tags, which have since raised hundreds of thousands of dollars to open hunting access and improve wildlife habitat on private land. 1996 – Wildlife Integrity rules to protect Oregon’s native species from non-native wildlife are adopted. 1997 – Oregon Plan for Salmon and Watersheds is implemented. 1998 – Voters approve constitutional amendment to dedicate 15 percent of lottery funds to salmon restoration and park projects. 2005 –Oregon’s Wolf Conservation and Management Plan is adopted after an extensive public process. Launch of Oregon Fish Hatchery and Research Center, a cooperative research project between ODFW and OSU. 2006 –Oregon Conservation Strategy, a plan to conserve species and their habitats before they become endangered and costly to recover, is adopted. Diamond Lake is successfully treated and rid of tui chub restoring the lake’s reputation as a premier trout fishery in the Cascades. 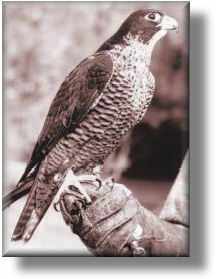 2007 - Peregrine falcons de-listed from state Endangered Species Act. 2008 – A wolf pack with pups is confirmed in northeast Oregon, the first evidence of multiple wolves and wolf reproduction in Oregon since wolves were eliminated back in the 1960s. A moose is collared in northeast Oregon for the first time as the state’s moose population continues to grow. Online hunting and fishing license sales and an online hunting access map are introduced. Mandatory hunter reporting for all big game and turkey tags begins. Study finds fishing, hunting, wildlife viewing enthusiasts spent $2.5 billion on these outdoor activities in 2008. Oregon’s first two marine reserves are established, with fishing prohibitions taking effect in 2012. Boaters are required to get an aquatic invasive species permit as part of efforts to keep quagga and zebra freshwater mussels and other invasive species out of Oregon’s waters. A kokanee caught in Wallowa Lake may have set a national record. Rocky Mountain goats return to the Central Cascades for first time since 1880s. Hunter orange becomes mandatory for youth hunters (age 17 and under). Tracks and trail camera footage confirm the presence of wolverines in Wallowa County for the first time in recorded history. Contributions in history made by Robert Mace, Bob Kuhn, & Lisa DeBruyckere.